Make your week ahead productive and enjoyable with our Blessing In Disguise Weekly Scheduler! This unique planner allows you to view all your week’s activities in one easy glance, making it perfect for students or office-goers. Now, you can truly count your blessing every week! Adorable and lively, our Cloud Story Checklist Planner is certainly going to encourage you to get more things done! Use this handy planner as a memo pad, to-do list or shopping list – it’s that versatile. Coming in 2 designs, each comes with 5 different page designs so that you will always look forward to your next checklist! Make the full use of your time with our Hello I Am Daily Planner! This handy planner allows you to schedule your time and write down your thoughts or ideas as you go about your day – Perfect for students, office-goers and as gifts. Make full use of your day with this uniquely-designed scheduler today! Looking for a way to keep your pens in a simple and sleek way? Well, the Minimalist Pen Holder certainly fits the bill. With a minimalistic design and crafted with high quality materials, it protects and organizes your stationaries effortlessly. Moreover, it fits your spectacles or sun glasses as well! The slim design allows you to slot it easily into any laptop bag or briefcase. Keep your stationary organized today! Check off your to-do list in style with this lovely planner! Our Modern To-Do List helps you to keep organized and reminded of all your important activities. Slim and well-designed, be productive with us today! 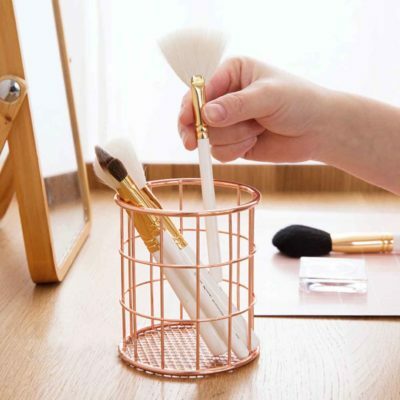 Our exquisite Roseo Brush & Stationery Organizer presents itself as a timeless and functional holder for your beauty and writing essentials. 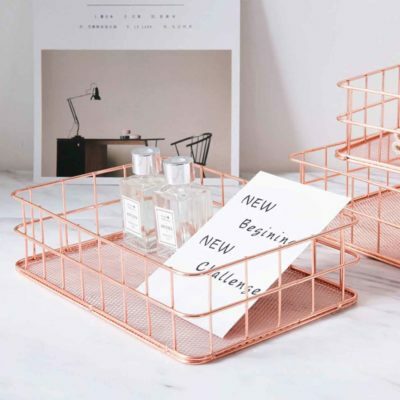 Durable and beautiful, this cylindrical organizer features an exquisite rose gold design that is sure to complement any desk! Compact and handy, our Sticky Mini Organizers is a must-have for any study table or office desk! These holders helps to store essentials such as cables, stationery and personal accessories within reach. Coming with a non-damaging adhesive, simply stick and use! Featuring a retro and elegant design, our Woven Desk Organizer is a perfect complement to your desk! 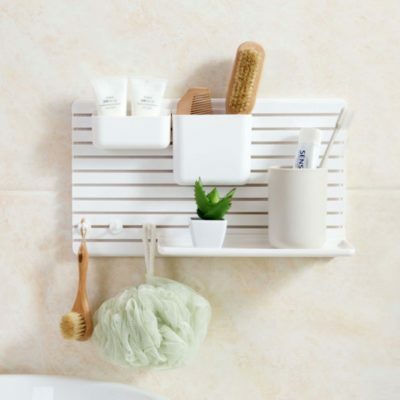 From makeup and toiletries to stationery and remote controls, store them easily with this compartmentalised holder. Coming in 2 sizes, wave good-bye to table mess today!